(MAHWAH, NJ) – September 5, 2013 – Today, Land Rover North America announced the details of the global advertising and marketing campaign for the all-new 2014 Range Rover Sport, the fastest, most agile and responsive Land Rover vehicle ever. The campaign theme, “Driven to Another Level,” underscores the car’s attributes and captures the personality of the brand’s target customer for the fully redesigned Range Rover Sport. The all-new Range Rover Sport was first revealed to the world at the 2013 New York International Auto Show — New York being the number one market in the world for Range Rover Sport — and completes the newly redesigned Range Rover line up that started with the Range Rover Evoque and then Range Rover. The Range Rover Sport is the top-selling Land Rover vehicle in the U.S. and fuels the brand’s steady momentum, including a 15 percent boost in sales in 2012 and a 14percent lift, year-to-date. The all-new 2014 model is only the second generation of the vehicle since its launch in 2005.In those eight years, 120,000 Range Rover Sport vehicles have been sold in North America. The multi-channel campaign will incorporate creative elements across television, print and digital, along with several non-traditional brand partnerships. Y&R/Wunderman was responsible for the creative positioning, while Mindshare managed the media planning and buying. The commercial for the all-new Range Rover Sport aired earlier this week during Premier League soccer, the English football league shown exclusively on NBC Sports. The spot re-creates the real-life feat the car achieved when it set the world record for a production-standard Sport Utility Vehicle on the Pikes Peak International Hill Climb course on June 6. Subsequently, many campaign components are digitally-focused, including: interactive web banner ads that enable a consumer to activate a Range Rover Sport driving experience on their mobile device; rich media ads that bring multiple aspects of the car to life, from its “capable” driving experience, to its signature interior; and, an interactive digital gaming component — “Race the Sun” — that puts the user in the driver seat to put the Range Rover Sport through its paces in five different scenarios to showcase the breadth of capability, both on and off road. Race the Sun features game components to test speed, agility and off- road handling, and you can explore the interior and exterior in an immersive 360 experience. Land Rover recently announced U.S. sales for the month of August. Closing out the month, the brand saw an increase of 32 percent driven by extremely strong results for the newly launched Range Rover, Range Rover Sport and Range Rover Evoque; making it the best August sales month ever. 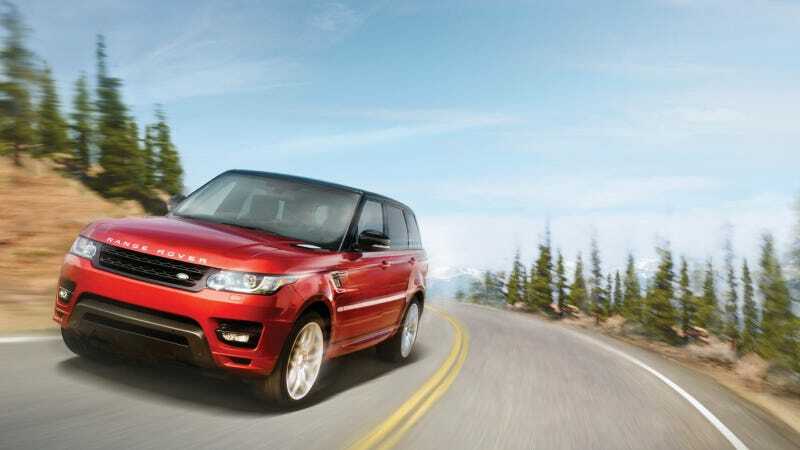 The all-new 2014 Range Rover Sport is Land Rover’s fastest, most responsive and agile car to ever hit the market. It’s capabilities for on and off-road terrain is unlike any other car of its kind and provides drivers with the ideal balance of sport and luxury. It features an all-new high strength aluminum unibody architecture to achieve a weight savings of approximately 800lbs for a unique mix of sporting luxury and a dynamic, engaging driving experience. The technologically advanced Range Rover Sport presents an assertive and muscular exterior, luxurious interior, and the practical flexibility provided by the option of 5+2 third row seating. The all-new 2014 Range Rover Sport is in showrooms now and starts at $63,495*.